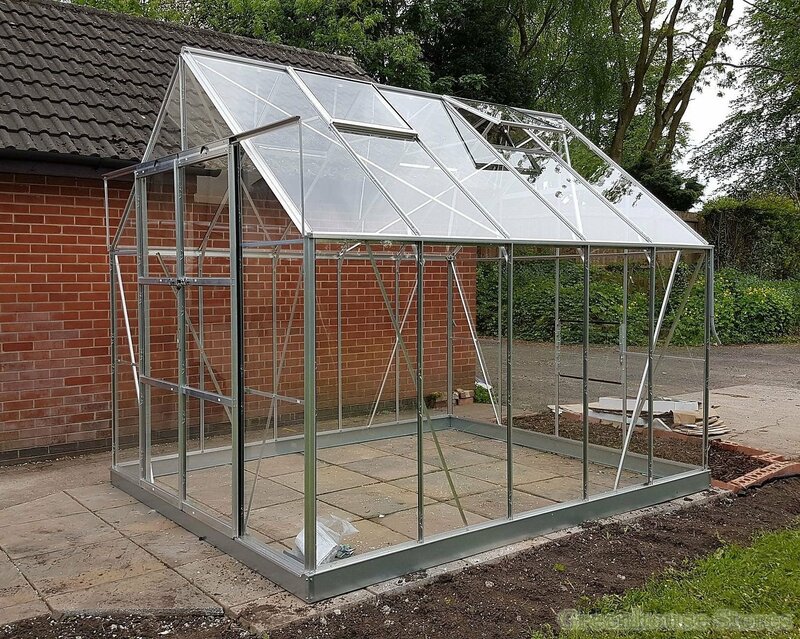 8ft 5" (2570mm) Wide Aluminium Greenhouse. 6mm Twin Wall Polycarbonate Glazing. Cast Iron Joints on Ridge and Eaves. Double Sliding Doors with Lock. 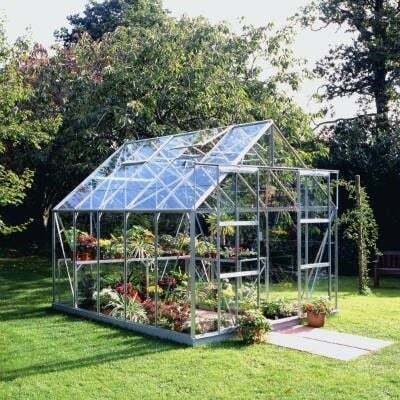 The 8ft 5" wide 8x10 Halls Magnum with double doors is a solid greenhouse for the keen gardener or allotment keeper with room for a larger greenhouse. 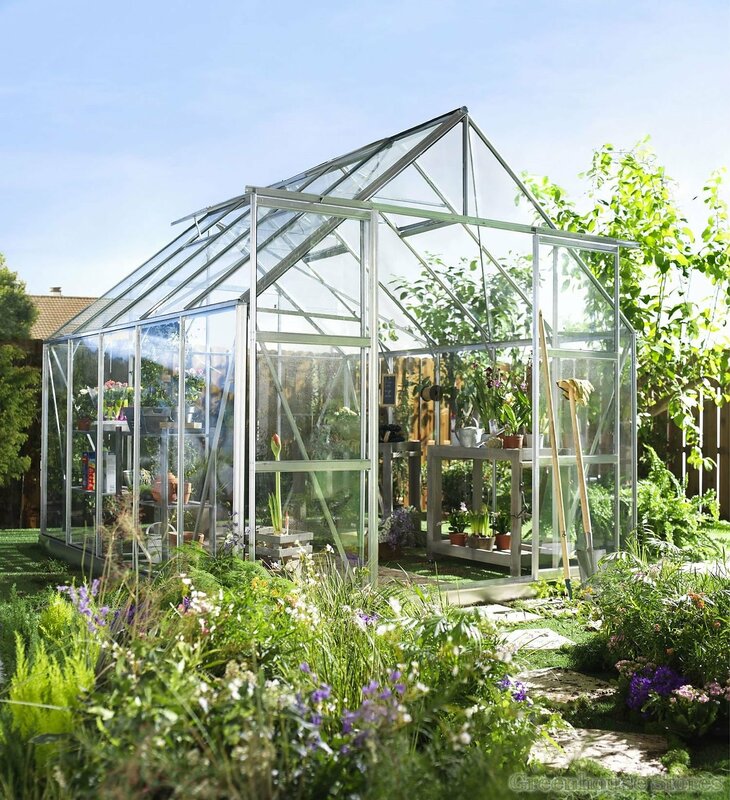 The Magnum 8ft x 10ft Greenhouse will give you more than enough growing space to bring on seedlings as well as grow salad, herbs and vegetables all year round. The great thing about an 8ft wide greenhouse is the working space inside that means a couple of you can be toiling away potting up or plants without bumping into each other. The extra width also gives you more planting options such as using large raised beds or tubs for vine plants. The Magnum is strengthened at the eaves and ridge by using cast iron joints as well as the actual ridge bar itself being constructed from thick box section. 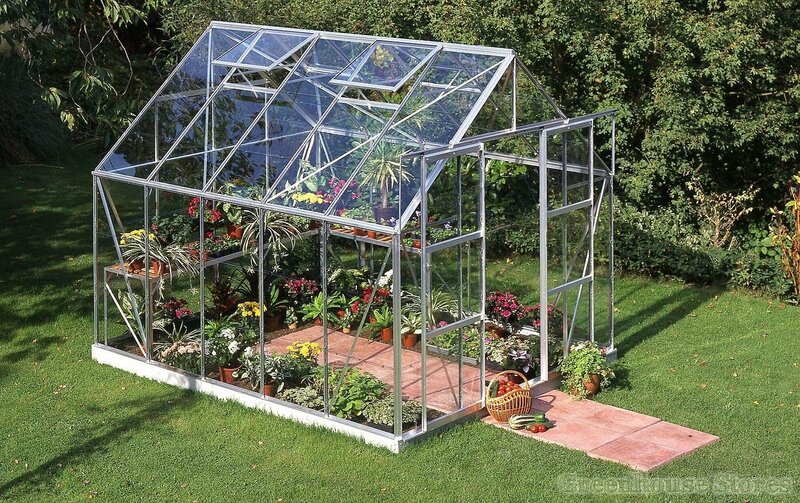 These strengthening features will keep the greenhouse rigid and square in strong winds. 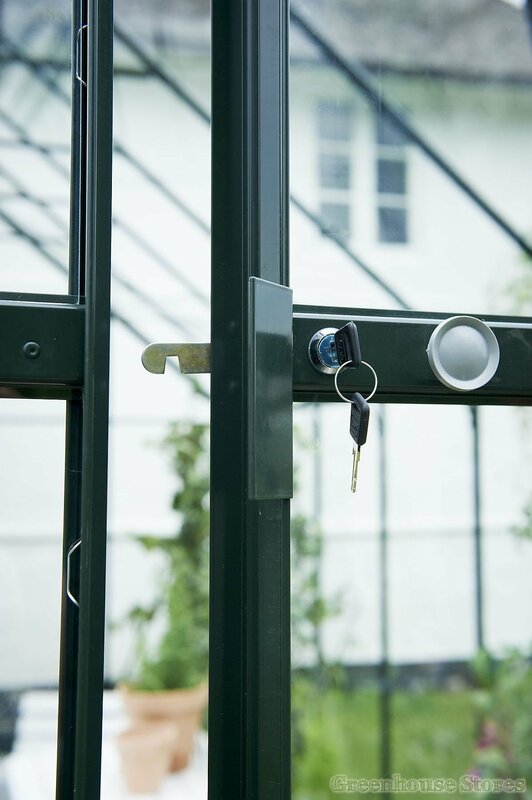 Halls 6mm Twin Wall Polycarbonate is the ultimate glazing choice for safety. This is especially important in educational and public environments where children may be present and insurance may dictate that glass is not used. 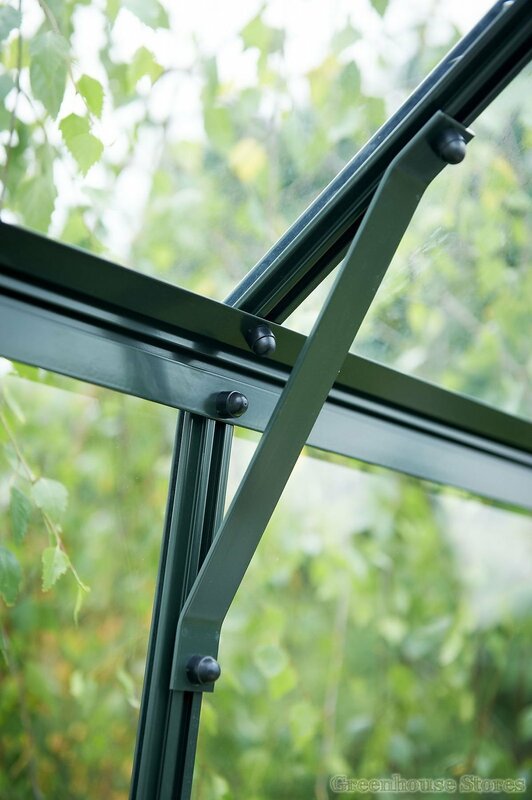 6mm polycarbonate glazing gives the magnum the very best insulation and heat retention properties and is the glazing of choice in Europe above glass. 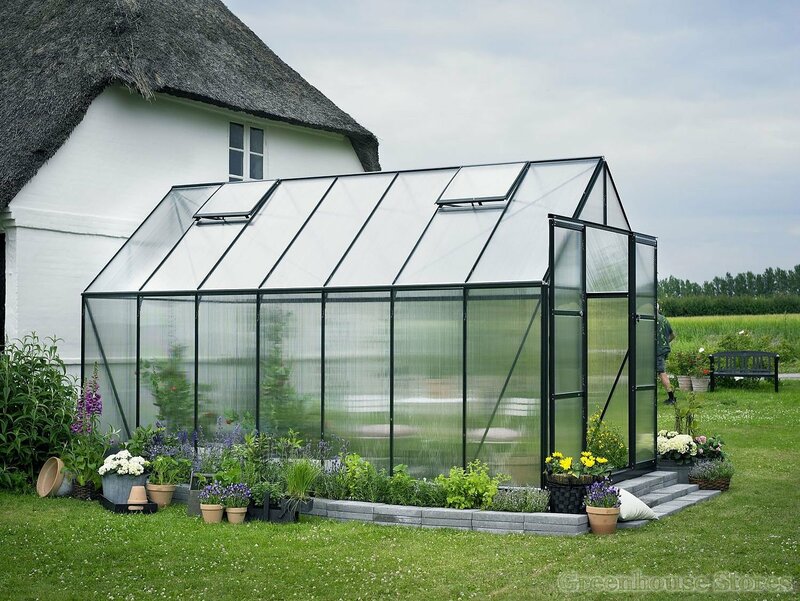 A louvre is the best way of bringing fresh cool air into your greenhouse to moderate the temperature and keep humidity at acceptable levels. This silver louvre vent has 5 slats made from toughened glass that open with a little lever. This 10mm Box Spanner will make erecting your greenhouse much easier as it is the exact size needed for the bolts supplied with your new Halls Greenhouse. The Fastfit 8x10 Greenhouse Floor Kit is the most cost effective and simple way of providing a level floor for your Greenhouse. 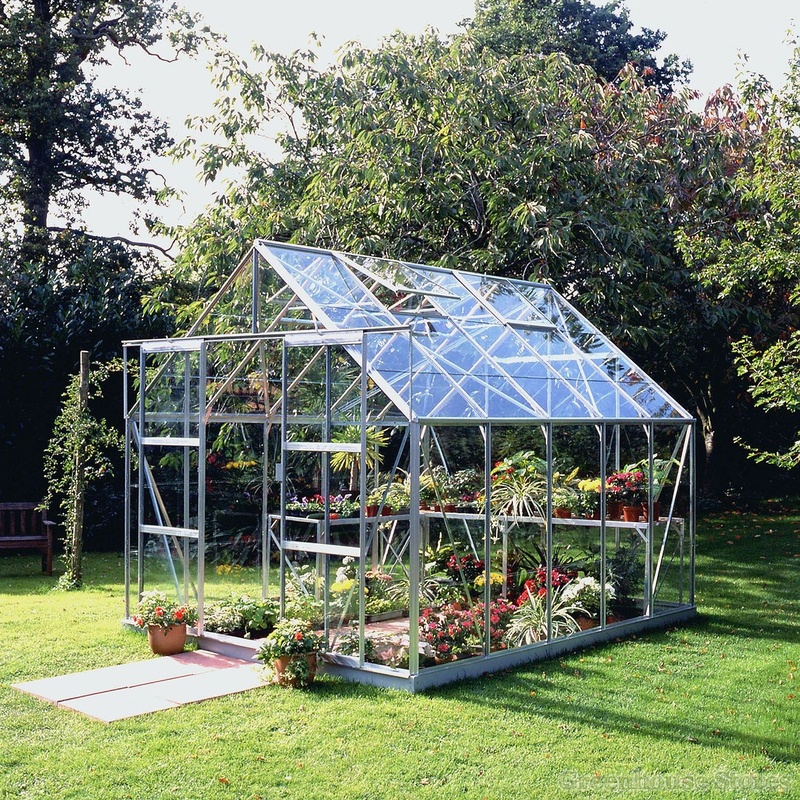 The 8x10 Greenhouse Floor Kit comes with a simple to construct click together system complete with water permeable membrane to provide essential drainage for your greenhouse whilst keeping the weeds at bay. Quick and easy preparation means no waiting times for concrete to dry.